The journey into the world of music started at an early age for Aaron Davidson, also known as Airborne. Born to a musical family, (his grandmother a professional pianist and mother a concert flutist), he began playing the violin at age 4, followed by the piano at age 5. He carried on until college, where he went to successfully acquire a bachelor’s degree in Industrial engineering and Economics at Northwestern University and a Master’s in Business Administration at Kellogg School of Management at Northwestern University. While Davidson’s first taste of electronic music came in the late 90’s, it wasn’t until much later that he would combine his love of music and technology. With the new boom of electronic music in the second decade of the millennium, Davidson gave first flight to Airborne, which takes his adoration for electronic music to new heights. Davidson traveled weekly for McKinsey & Company, a top global management consulting firm, and during his spare time on the road he rekindled his passion for music by starting his music production and DJ career. It shouldn’t come as a surprise that Davidson effortlessly meshes two distinct worlds, art and technology, and creates a connection with his audience. Despite a busy personal and family life, he stands to deliver absolute quality in his productions. Davidson’s goal is to translate his passion and years of engulfment in music to his audience and, in turn, captivating and inspiring them through his pulsing beats and soaring melodies. His recent productions have been signed onto the highly successful Discover White, Appointed Recordings, Ultraviolet Recordings, as well as other labels. In addition, he has received support from Aly & Fila on their Future Sound of Egypt radio show. 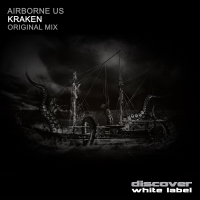 Airborne is pushing the boundaries of trance. Releasing the most intricately structured tracks is just the beginning. Airborne held a monthly residency at one of the top clubs in the U.S., Sound-Bar in Chicago. In addition to his residency, Davidson is co-founder of the Chicago-based collective, The Delimiters, which concentrates on trance, progressive, and techno producers. To give a twist to his music, Davidson also produces and DJs under the alias of ZeroSum in dedication to progressive and techno. Between guest sets on several radio programs, notably on 101.1 FM in Chicago, and a monthly trance column on the music blog “The Sights and The Sounds”, Davidson strives to awe-inspire and deliver the love he feels for trance to his fans.